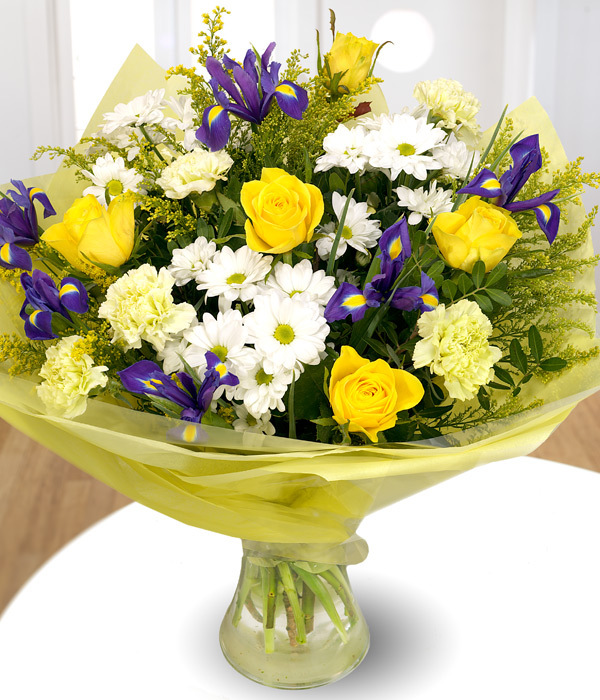 A bright bouquet of fresh yellow Roses, striking white Chrysanthemums, blue Iris and Carnations, complemented beautifully with a touch of Pistache and Solidago. Deliver by Courier. Flowers will be delivered in bud for freshness.